It's a Scrappy World: 12 -3 Christmas Chaos and New Release! WOOHOO! It's New Release Day today at Bugaboo Stamps! 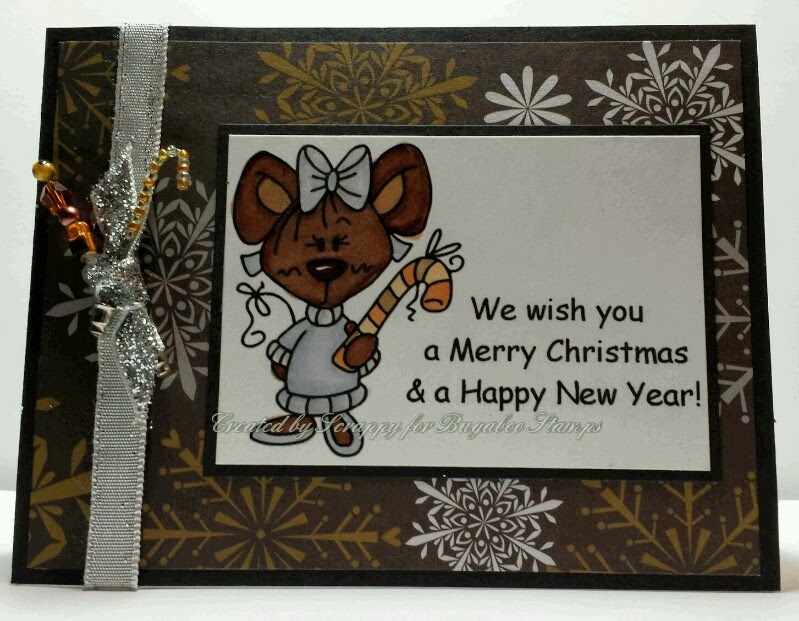 Since it is our Christmas Chaos week, I am really happy to share my sample using one of the super cute digis from todays re-release! Join us for todays Cozy up by the Fire mini challenge asking you for YOUR favorite way to unwind during the holidays! 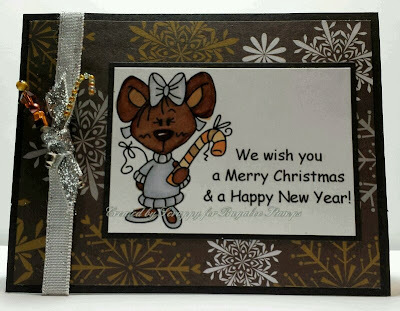 For my card below, I shared mine: 'Cocoa and Holiday Music' (chocolate colors, and something silver). I hope you'll check it out, and then go to the Bug Shop to nab this super cute image for yourself!